Zhongshan YiDa Automation Equipment Co.Ltd. 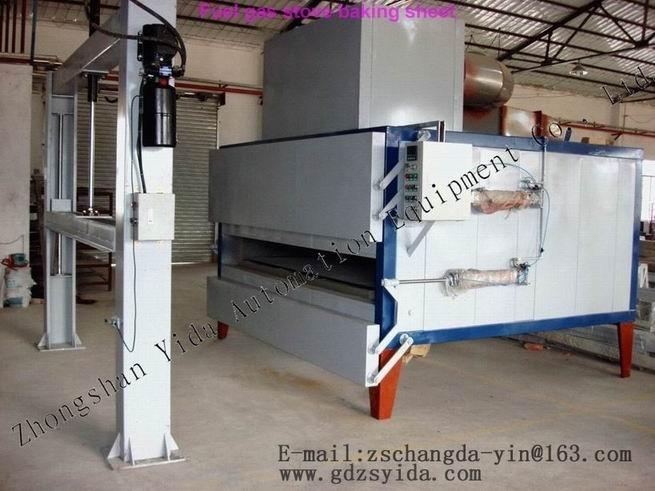 Zhongshan YiDa Automation Equipment Co.Ltd., is located in the beautiful , the traffic developed , the hometown of Sun Yat-sen, cultural tourism city, the country's major manufacturing base of Guangdong Dan Qidong city.. Is a recreational bathroom automation machine (Acrylic Forming Machine,Bath Machine,Blister machine,Bathroom Equipment)to contain the design of very deep scholastic attainment and produce, sell integral whole to turn professional company. Products throughout the home and abroad, the customer enjoys a high esteem. The company formed from the bath and automation equipment to the packaging encompasses the entire process, and can provide the whole plant for the factory planning, project preparation, work arrangements and improved personnel training and promote full-service orientation. 1. Apollo Sanitary Ware (China) Co., Ltd.
2. Foshan YingKing Sanitary Ware Co., Ltd.
4. Foshan HengJie Sanitary Ware Group Co., Ltd.
5. Tangshan Hui reached Ceramic (Group) Co., Ltd.
9. Jiang Su Yuntao Sanitary Co., Ltd.
10. Landscape Gelei Shi Sanitary Ware Co., Ltd.
12. Fujian Huasheng Materials Co., Ltd.
13. ZhongShan Jamie Materials Co., Ltd.
14. Zhejiang Tianyi Group Co., Ltd.
17. Zhongshan Europe Depot Houseware Co., Ltd.
18. Guangzhou Hao Deac Power Plate Co., Ltd.
19. Zhongshan Sally Bathroom Equipment Co., Ltd.
22. ZhongShan Liansheng Bathroom Equipment Co., Ltd.
24. Zhongshan Guang Sheng Sports Equipment Co., Ltd.
Ping by industry to serve the country, promoting the leisure industry for the entire international sanitary historic mission, we will be with you, solidarity, work with special care conscientious, committed to innovation, create brilliant brilliancy of domestic brand tomorrow..